Belovezhskaya Pushcha is a survived island of the ancient forest that used to spread from the Baltic Sea to the Bug River and from the Oder to the Dnieper. Little by little those forests were cut down and in their primeval state they survived only in the Belovezhskaya area. Since time immemorial the Belovezhskaya Pushcha served as a game reserve for the high-ranking persons – Kievan and Lithuanian Princes, Polish kings and Russian Czars, General Secretaries and heads of states – all of them protecting the forest for their hunting. 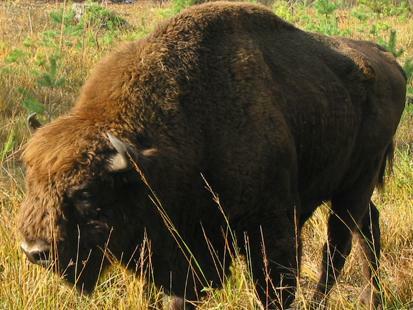 The fact that bison inhabited the forest also contributed to the protection of the Pushcha. The desire to preserve this animal in Europe and to keep its population induced at first Lithuanian Princes and then Polish kings and Russian Czars to take ardent care of the forest and protect it against destructive actions of a man. The sources of protection of the Belovezhskaya Pushcha date back to the beginning of the 15th century when Prince Yagello reserved the right to hunt on that territory only for himself and his brother Vitold. Thus it is nearly 600 years already as the first protective measures have been taken in the Belovezhskaya Pushcha. In modern conception of nature protection the pushcha has become a protected area since 1921 when it was part of Poland and when they organized a reserve, “Rezerwat” by name, the territory of which was about 5 thousand ha. In 1939 in virtue of certain historical events the Belovezhskaya Pushcha became part of Belarussian SSR. The whole its territory was declared a national Reserve. After the Second World War the state border divided the Belovezhskaya Pushcha into two parts. The National Park “Rezerwat” remained on the Polish side while the whole Belarusian part of the forest became a reserve, the name of which was changed for a State Wilderness Protection and Game Facility in 1957. 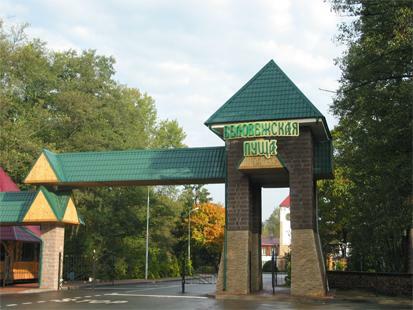 In 1991 they organized the first national park in the Republic of Belarus – it was The State National Park “Belovezhskaya Pushcha”. The Belovezhskaya Pushcha is famous for its unique plantings. Up to now its forests have preserved in many aspects their primeval look. The relict unions of plants and animals are not rare here, the majority of them have disappeared in other areas as the forests were cut down there. It is the most aged forest in the whole Europe where more than one thousand giant trees has been registered, there are 600-year old oak trees, 350-year old ash trees and pine trees, 250-year old spruces and more than 1000 types of flowers and vascular plants. This is the only place in Belarus, where there are populations of rare and protected types such as silver fir and Quercus robur. Rich and diverse flora of the Belovezhskaya Pushcha creates favourable conditions for the populations of numerous types of animals, many of which have been entered into the Red Book of the Republic of Belarus. Nowadays 54 types of mammals, 252 types of birds, 7 types of reptiles, 11 types of amphibious still can be found in the Belovezhskaya Pushcha. It goes without saying that the most famous and notorious representative of Pushcha fauna is bison – the king of these forests, and people from all over the world come here to have a look at him. More than 300 specimen of this type of animal live in the forest now. Bison from Belovezhskaya population has been settled in many countries as well as in other regions of our Republic. The Belovezhskaya Pushcha is one of the most valuable nature-protected objects of Belarus and one of the most titled reserves in Europe. Thus, in 1992 the forest became an UNESCO World Heritage Site. It was the first object of that type on the territory of the former USSR awarded that high title. 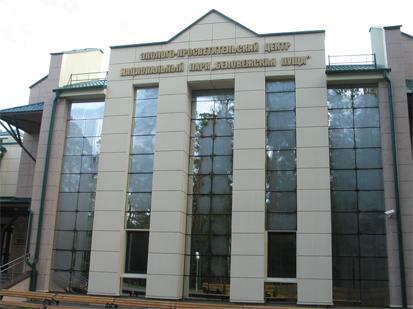 In 1993 UNESCO awarded the Belovezhskaya Pushcha the status of a Biosphere Reserve, including it into the unified survey system of the global changes in the natural environment. At the end of the year 1997 the Council of Europe awarded the National Parka special Diploma for one of the model nature protection establishments of the whole continent. By the results of the year 2006 at the Second International Leaders Forum (professional contest BRAND OF THE YEAR) the State nature-protecting establishment “The National Park “Belovezhskaya Pushcha” was awarded the golden medal in the nomination SPADCHYNA (HERITAGE) BRAND. Welcome to the Belovezhskaya Pushcha!